On the hunt for a mid-rise slim fit pant with a high rise contoured back? Look no further than the Nils Betty Pants-Black. With the latest four way spandex stretch three layer fabric to allow unrestricted movement and comfort. Featuring belt loops, zippered back pocket and multi-needle topstich detail at the hip adding style and shape. Critically seam sealed at the most important areas, Polyester lining with a lycra gaiter insert to prevent snow going into your boots. And last but not least a zippered gusset bottom of the pants allowing easy access to get your boots on without fuss. 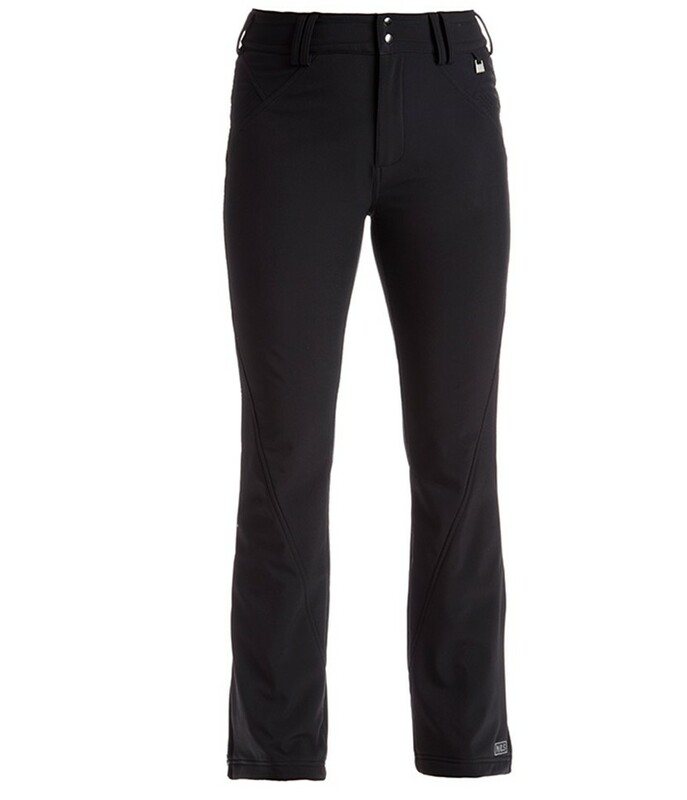 So a super stretchy, easy fitting and comfortable pant to make anyone’s skiing a breeze. Critically seam sealed (all of the important seams are taped keeping it very water resistant).